The summer of 2010 we met Joe’s family at Yellowstone National Park for a family vacation. While the brothers and other family members were away on their backpacking adventure, I stayed back with Joe’s mom, Joan. Joan and I took day trips throughout the park and on one occasion we traveled to Jackson Hole for a day. We walked the square in awe of all the neat shops, galleries and restaurants. When lunchtime was upon us we settled on this little place called Trio Bistro. Everything on their menu looked so enticing. I couldn’t make up my mind and finally decided on a Panini sandwich which came with a side bowl of soup. There were 2 or 3 soups to choose from and after careful consideration I picked the BLT Soup which to my surprise was one of the most memorable soups I’ve ever tasted. 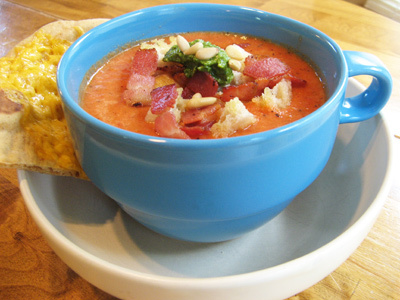 The soup was rich with tomato goodness with a dollop of arugula pesto, sourdough croutons and crisp bacon sprinkled on top. I couldn’t stop thinking about this soup and had to find a way to recreate it. 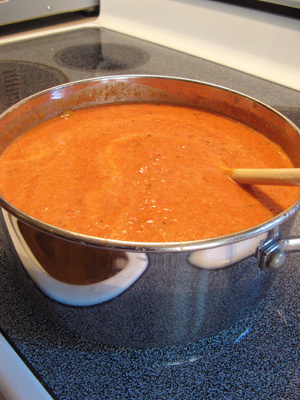 What I made may not be exactly the same but it’s pretty darn close and if you like tomato soup, you will surely love this one. The soup is actually quite simple. You’ll need 1/2 onion which I had a little red and white onion leftover in the fridge, but you can use either or. Some butter, garlic, sun dried tomatoes, canned tomatoes, chicken stock, half and half and sugar round it out. 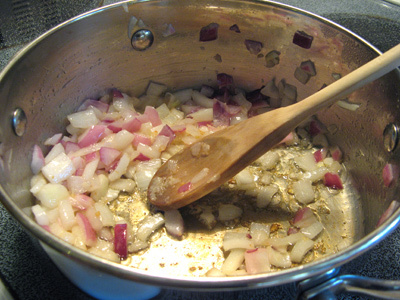 In a 3 quart pot, melt butter and saute onion and garlic over medium high heat until they are soft and translucent. 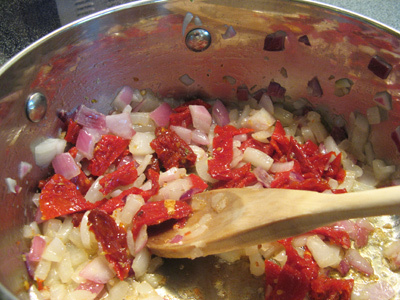 Add 1/4 cup sun dried tomatoes and stir in with the onions and garlic. 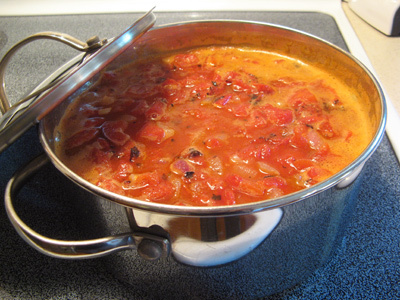 Add 3 cans of fire roasted tomatoes, 1/2 box of chicken stock, 1 tablespoon sugar. Bring just to a boil, then turn off heat and let cool a few minutes. 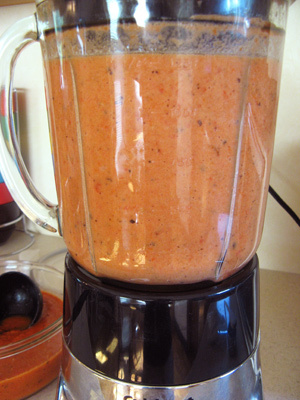 Take your cooled soup and puree in a blender. Pour the puree mixture back into the pot and slowly heat back up. Stir in 1/2 cup half and half. Salt to taste. I think I added the half and half when I pureed the soup but it’s easier to wait until you place it back into the pot. 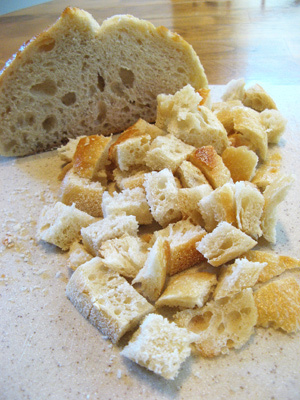 The best sourdough croutons are the ones made at home. Sourdough bread with an artisan crust works best for this soup. I diced the bread into cubes. 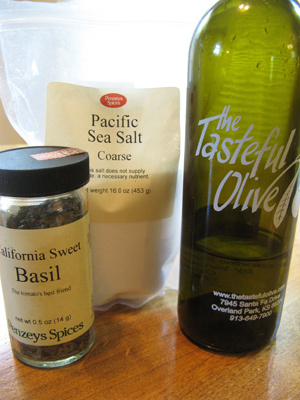 I’m going to simply season the croutons with a little salt, sweet basil and olive oil. Line a cookie sheet with aluminum foil and make a layer of sourdough cubes. Drizzle with olive oil and sprinkle with salt and basil. Got my bacon bits cooked and ready to go. 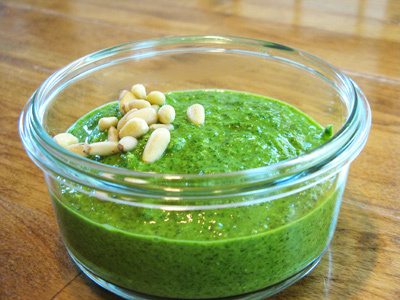 And the arugula pesto too! Ladle the soup into your bowl and top with sourdough croutons, bacon bits and a dollop of arugula pesto. I melted some cheese on a flatbread and made a side salad which was the perfect meal. Heat butter in a 3 quart pot. Add onion and garlic and saute over medium high heat until soft and translucent. 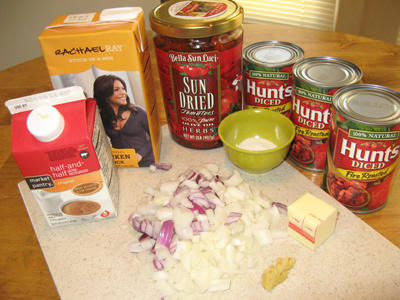 Add the sun dried tomatoes, canned tomatoes, chicken stock, sugar and salt to taste. Bring just to a boil, turn down heat and simmer 10 minutes. 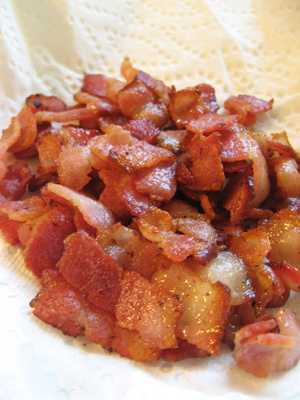 While the soup is simmering, fry bacon until crisp. Set aside. 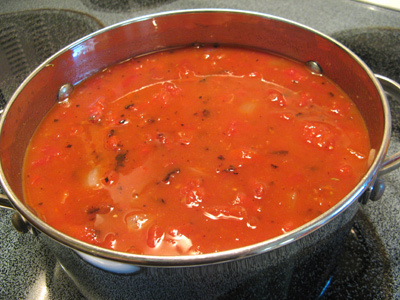 Let soup cool for a few minutes, then puree in a blender until you get the desired consistency. Pour the pureed soup back into the pot and add 1/2 cup half and half. Slowly reheat the soup. 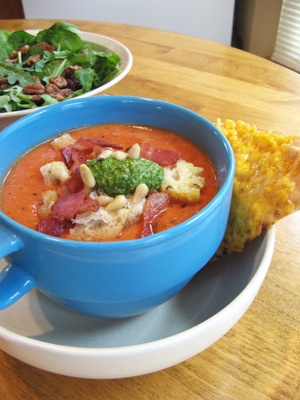 Ladle into soup bowls, add bacon bits, sourdough croutons and a dollop of arugula pesto. Preheat oven to 400 degrees. Line a cookie sheet with aluminum foil. Make a single layer of sourdough bread cubes, drizzle with olive oil and sprinkle salt and basil over top. 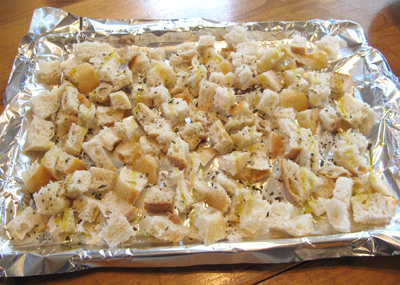 Bake for 10 minutes or until croutons are crisp.